This is the first post in a series which will deal with the topics of handling Laredo, Texas, car accident/collision cases. I have decided to write on this issue due to the fact that many victims, for understandable reasons, may be unsure of what to do when they have been the victim of another’s negligence. If immediate steps are not taken, however, a victim may lose their ability to recover damages. The goal of my coming articles is to provide information which will help people to understand their situation. It is also my goal to provide information which will assist with the selection of a personal injury attorney. If you have been in a wreck then contact my office today to speak with a lawyer. I have chosen to address these issues for multiple reasons. First, many defendants do not realize that they may be able to recover damages even if they were partially at fault for the accident. Second, cases which involve commercial entities (such as those involving delivery drivers) can implicate multiple defendants. Third, the process of dealing with insurance adjusters can be lengthy. Fourth, distracted driving can greatly impact the calculations of comparative fault. Fourth, discovery is crucial to proving a defendant’s negligence. Finally, knowing what to expect from the trial process is crucial to making sure your rights are protected. 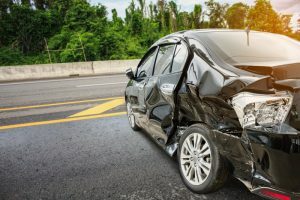 One point I cannot stress enough is that you should contact a Laredo car accident lawyer immediately if you were injured in our area, or elsewhere in South Texas. Joey Tellez is experienced in handling such matters and he prides himself on providing the highest levels of service. We are ready to assist you. Call today to speak with Joey Tellez.